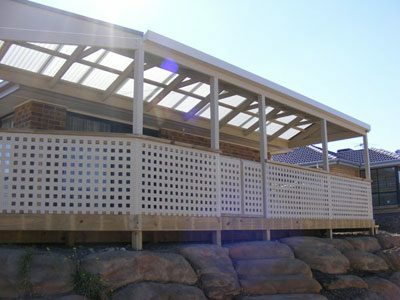 WOOD’N’LOGS have been supplying Adelaide and all surrounding suburbs with pergolas and verandahs for nearly 30 years. We specialize in custom designed pergolas and outdoor entertaining areas. 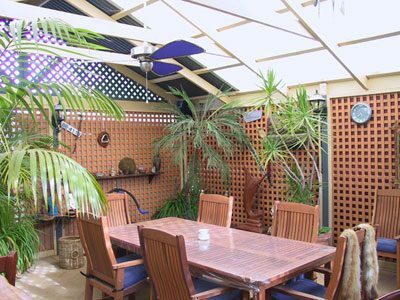 We can tailor any job to suit the homeowner whether it’s a small verandah over the back door, or a large gable pergola that will turn the neighbor’s heads. Our service covers everything you need form an initial consult, quotation, council approval, supply of materials and installation. The builders we recommend are all fully qualified, licensed and insured. They all take pride in their work as if it were their own home and keep the customer informed throughout the entire job. The great part of our service is that the builder who quotes your job will be the one to build it. If you have some building knowledge why not consider building your own pergola? This can be a challenge but very rewarding at the same time. We can help with all the tips and tricks to make the job a little easier and we are on hand 7 days a week if you need any advice or extra materials. The choice of materials with a WOOD’N’LOGS pergola is endless. 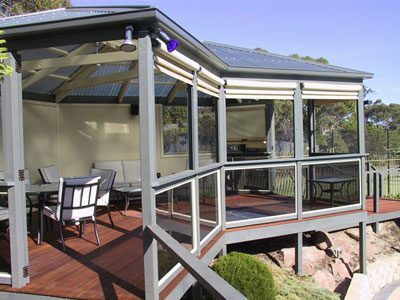 Most of our pergolas are constructed with treated pine timber and a painted finish. Other options we can provide are LOSP primed timber, hardwood or cypress Pine. We have an excellent selection or roofing products ranging from Colorbond sheets, polycarbonate and Solarspan foam insulated roofing. Once the frame of your Pergola is complete the options for extras are endless. We can arrange Cafe Blinds, balustrade, frieze work, stainless wire, trellis, fibro, and much more. If you would like any more information please fill in our easy online form. You can also phone us or call in to see one of our friendly sales staff. If you are looking for ideas click here to browse through our gallery.